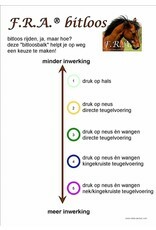 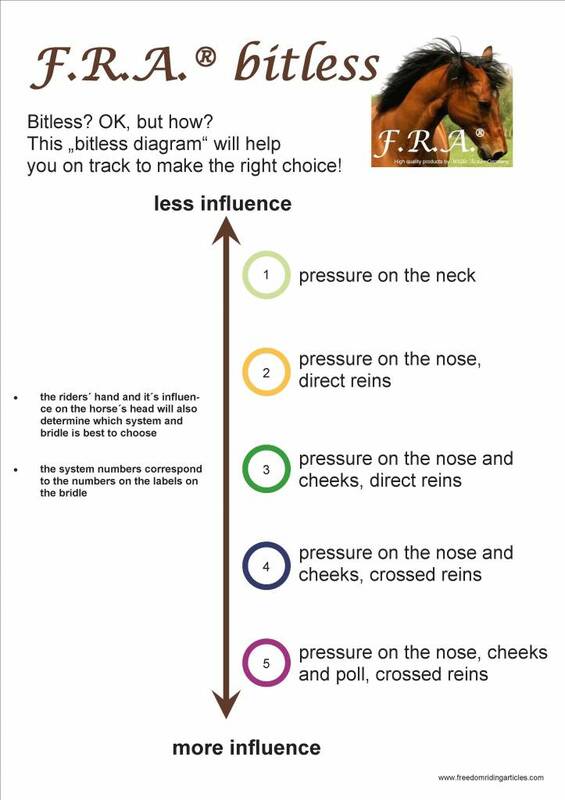 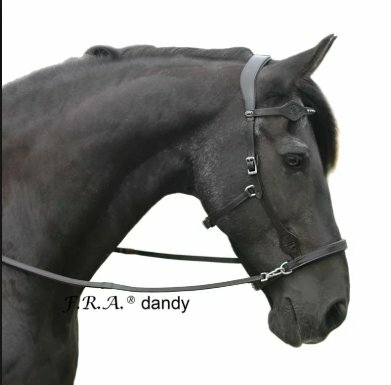 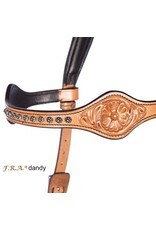 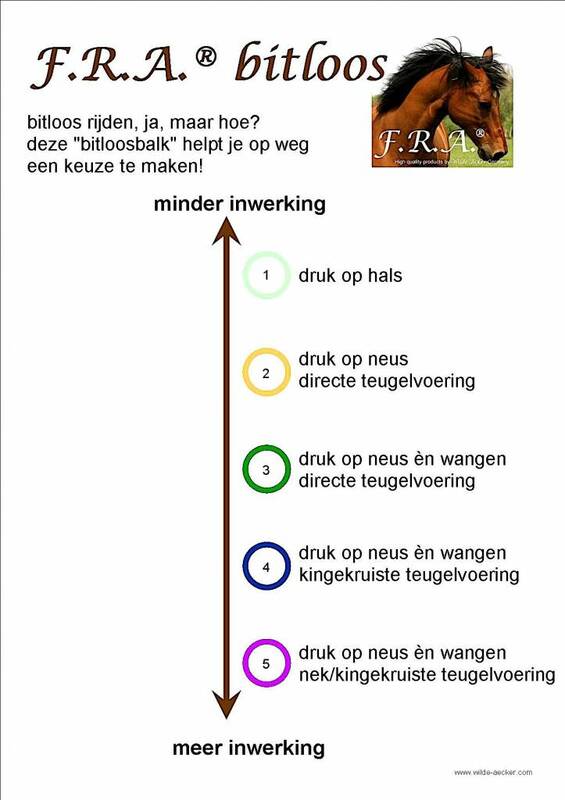 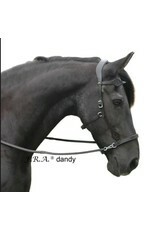 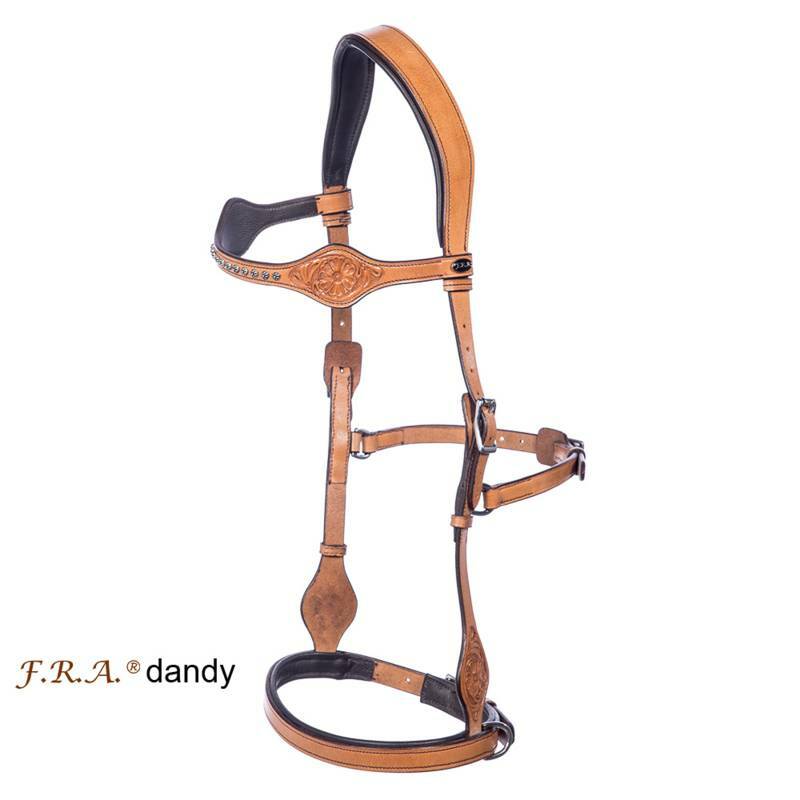 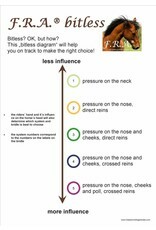 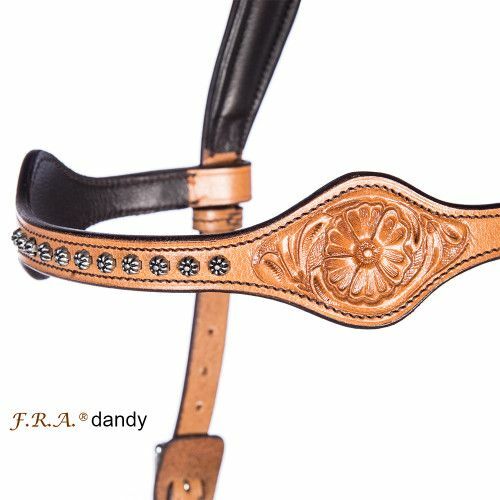 The FRA Dandy is a Side Pull bridle from system 3 of Freedom Riding Articles Bitless diagram. 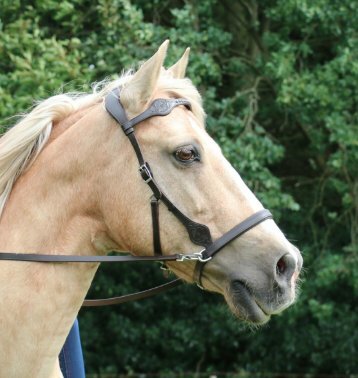 This bitless bridle has an ornately carved shaped browband and cheek pieces. 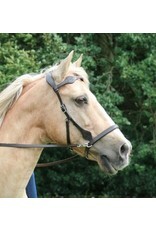 The noseband is flat and softly padded. 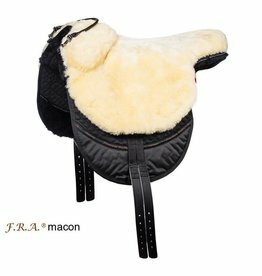 The anatomically shaped headpiece is padded with soft padding. 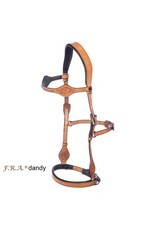 The bridle is adjustable at the cheek pieces, jaw strap, and noseband. 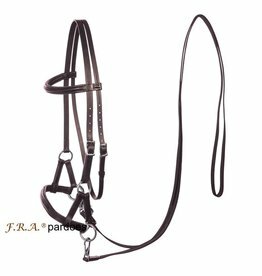 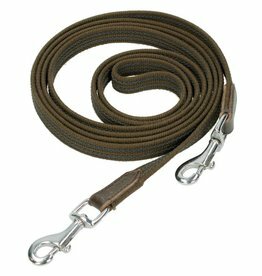 The bridle includes full leather rein with clips.